Office buildings and complexes may house almost any type and size tenant, and may be geared for one large tenant or many smaller groups. What type and level of tenant an office building can attract will depend upon the location, design, and quality of finishes and amenities. Based on desirability and the amount of rent a property can command, office space is usually classified as Class A (or Type A), Class B, Class C, and Class D.
Class A office space is the most preferable and attracts large, stable, national credit tenants for long-term leases. 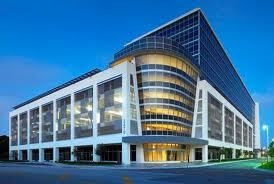 This type of building is newer, with high quality finishes and a high-profile location. Amenities are typically present such as covered parking, health club or workout facilities, and retail/restaurant amenities in a centralized lobby location. Class A office buildings provide the investor with the highest lease rates but the price for acquisition of this property profile will be accordingly higher. Class B property is somewhat older but still in a desirable location. Class B buildings have been well-maintained and do not show obvious signs of wear or obsolescence. Some amenities are typically present in Class B space also. This type of property will attract good, stable tenants with long leases, but somewhat lower rental rates than Class A buildings. 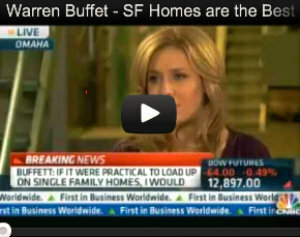 The cost to acquire these properties will be accordingly less expensive. Class C buildings are usually below average in quality and appearance and in a less desirable location. These properties are still well maintained, but may not have been updated to a modern level of finishes. Few or no amenities are present in this type of property and individual office suites are typically smaller than in Class A and B properties. Class C buildings attract new and start-up companies or those that operate on a less high-profile basis. This property profile may be attractive to the novice investor because acquisition cost is typically low but with solid value. Class D space is older, has not been well maintained, hasno amenities, and is located in undesirable locations. As the quality of space declines, so too does that level of tenant the property will attract and the amount of rent tenants will pay. Vacancy rates may be high. Although the cost to acquire these properties is low, the investor may have to expend capital to facilitate repairs and updates. Each type of office property described above offers advantages to the investor in search of triple net lease investment property. 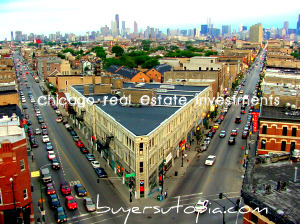 The investor need only identify what type of property best fits their investment goals and pursue those opportunities.